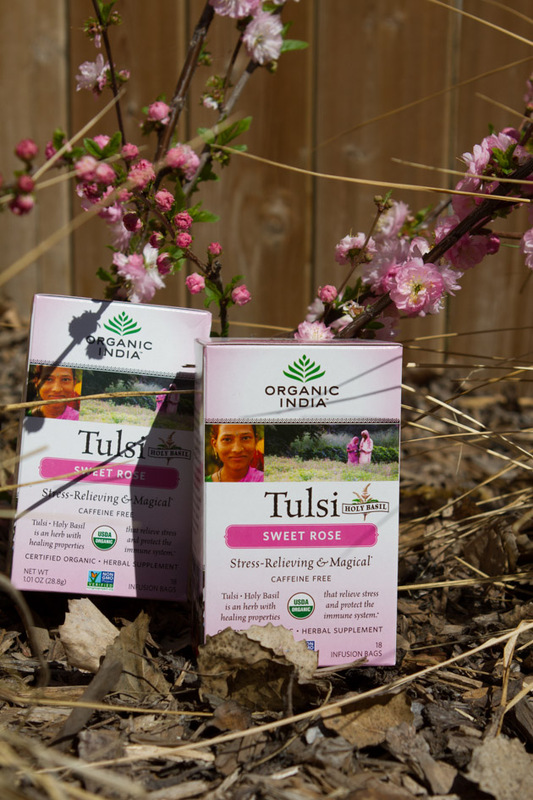 ORGANIC INDIA is an incredible company specialising in beautiful organic Tulsi Teas and herbal supplements. What I also love about ORGANIC INDIA is the respect and commitment they have for the farmers that grow the herbs for their products. They recognize the important and crucial role they play bringing the company’s mission to life. Beyond the farm, they consider the lives of their farmers and families, supported by their belief in True Wellness. A holistic approach increases the quality of both the lives of the farmers and the end consumer. Best described by them as an intricate web of connectedness…which I most definitely feel enamoured to be part of! The video below provides a little snapshot into the lives of the farmers and their families. ORGANIC INDIA is Fairtrade to the core, providing training, education, and enabling self-sufficiency. It’s about mutual respect and interconnectedness. It’s so wonderful to have come across a company that takes such pride in their work, values their workers, the roots, heritage and foundation of what they produce. Tulsi Sweet Rose was the second tea in the lineup I quite quickly fell head over heels for! Blended with organic rose petals, this caffeine-free Tulsi tea is also naturally sweet with undertones of lemon and soothing chamomile make it the perfect calming sip. 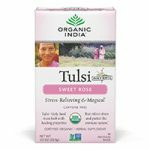 A mug of Tulsi Sweet Rose has a the bonus of infusing my kitchen with it’s sweet aroma…it tantalizes the senses and somehow bolsters my femininity! Try serving it as a cold brew, just like Tulsi Original though this time with the addition of some fresh vanilla, some lovely freeze dried rose petals and a dash of lime! 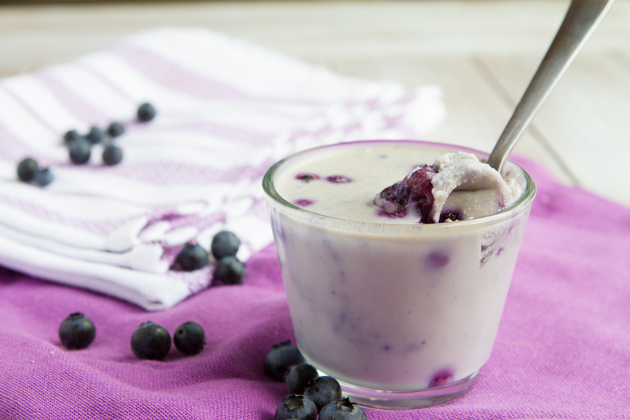 Infuse some full-fat coconut milk with the tea, sweeten with stevia or a little maple syrup, a touch of cinnamon, and set to form some beautiful dairy free pannacotta! A delightful “stock” or bone broth infused to create the base of Persian Lamb Tagine! A feminine pink and beautiful avocado mousse…raspberries, a few tablespoons of strongly brewed cooled Tulsi Sweet Rose tea, a touch more stevia, vanilla and some might be maca powder to boost those hormones! Tulsi tea Gummies?! Worth trying! 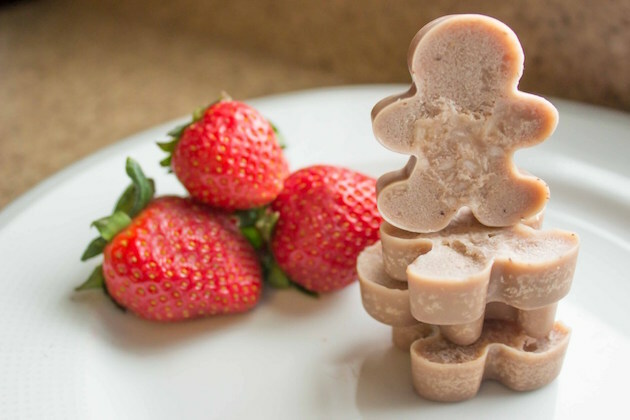 How awesome would gummies be with a coconut milk sweet rose infused base!? A mightily delicious smoothie… coconut and rose are truly a match made in heaven and vanilla just makes the two of them sing! Keep it low carb and keto friendly by thickening with chia and hemp seeds rather than the quite often reached for a frozen banana. 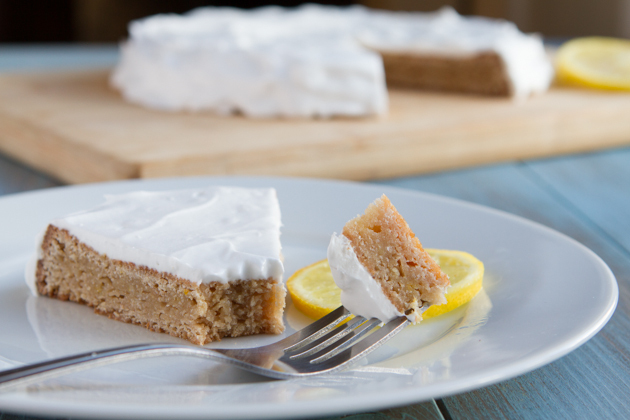 Get super creative and make a rose, pistachio, and orange cake…bringing it to fruition via an adaptation of my Keto Lemon Cake is on the agenda! 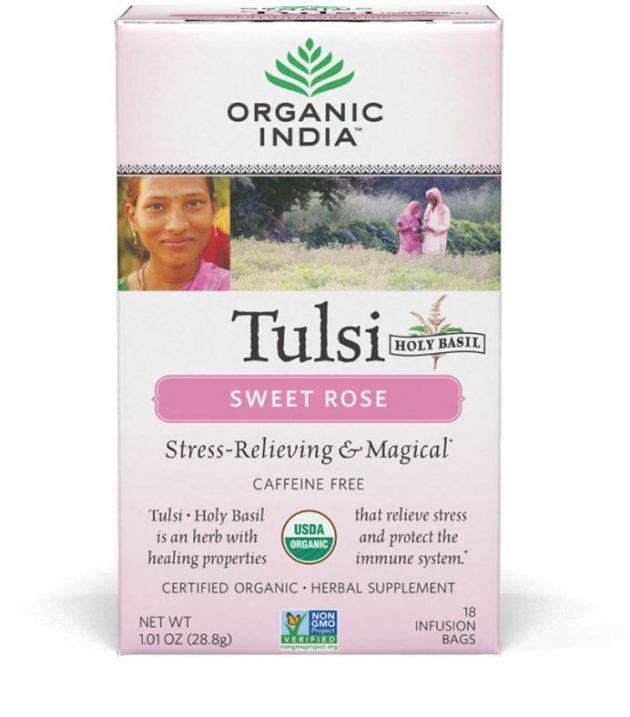 Tulsi Sweet Rose is a must have addition to your herbal tea collection. Chamomile but kicked up a notch regarding flavour, with body and mind loving health benefits to boot! It’s a delightful alternative when you just need a little bit of sweetness post savoury meal, calming, soothing, dare I say slightly sensual!